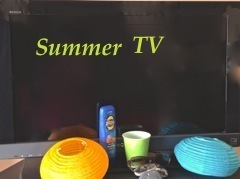 I love Summer TV almost as much if not more than Fall & Midseason. I admit to being hooked every since Brenda Leigh Johnson first strolled into the squad room, Michael Weston and the gang blew up their first car, and Monk with all his quirks launched during the hottest days of the year. I have to credit USA Network with getting me addicted to the joys of summer programming. Soon after that I was also onboard with Lifetime, TNT, and then ABC Family. For a while it did seem as if the Broadcast networks were going to just let the Cable channels have these three to four months of the year, but not anymore. Leading the pack of the summer shows I’ll be watching is Burn Notice. It has incredible actors, great one-liners, is action-packed, and has outstanding writers. I’ve recently learned this will be its final season and truthfully I’m both sad and glad. Sad, of course, because I love Michael & the gang, but glad because right now it is still the best action show on TV, so I applaud ending it while it’s still on top! If you’ve never watched this series then go to Netflix right now and plan a marathon viewing party. You’ll be glad that you did! Another excellent series that recently began its second season on A&E is Longmire. I’m not sure if it technically qualifies as “Summer TV” since the first season aired mid-season last year but whatever because it’s on right now and it’s fantastic! I actually use to have a lot more shows on my summer watch list, but if you check out my previous post The Final Good-bye you’ll see that some of them have ended their runs or I have “voluntary cancelled” them. Also, in a bold move by the cable channels, many shows have been moved from summer and are now airing during winter and mid-season to challenge the networks. Not to worry, however, as there are a whole slew of new shows slated to launch this summer. In addition, there are run-offs of the remaining episodes of series that the networks cancelled this season for any fans that may still care. Personally, I will be watching Do No Harm on NBC and Cult on The CW, which were both great shows that got booted during the mid-season. 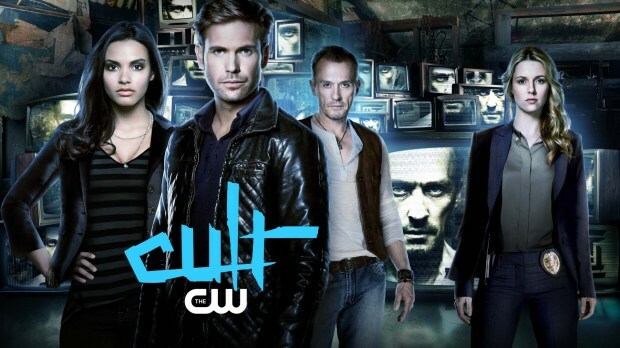 FYI, Cult will air double episodes for 3 weeks in a row starting Friday, June 28. This info isn’t on the TV Guide Summer calendar. Gone too soon, but at least we get to see the remaining episodes. New summer shows that I’ll definitely be checking out are Graceland on USA Network (it’s by Jeff Eastin EP/Creator of White Collar, so I think it’s worth a look), Mistresses on ABC, Devious Maids on Lifetime, and two new offerings on ABC Family – Twisted & The Fosters. I’m giving the later a shot in spite of the fact that JLo is one of the show’s EPs! Jon Tenney is making the summer even hotter! Another one of my favorite channels TNT will be launching King & Maxell with the wonderful Jon Tenney, formerly of The Closer (who by the way is looking hotter than ever), so I’m definitely looking forward to it. I’m very curious about both Under the Dome on CBS and The Bridge on FX, so I’ll at least check out their premieres. In addition, NBC is launching three summer series that look interesting – Camp, Crossing Lines and Save Me with Anne Heche. The CW has The Hunt, and VH1 has already begun airing Hit The Floor, so I need to check it out as well. My only excuse for that one is I’m a sucker for any show involving dance, cheerleading, or gymnastics! Unfortunately, I seriously hated Bunheads on ABC Family, so I hope Hit The Floor is better. I’ve now also watched a few episodes of the new summer ABC series Motive, however, I don’t like it as much as I thought I would based on the promos. I think the three strike rule will apply here because with Burn Notice starting this week in the same time slot I probably won’t be watching it again. Well that’s my summer slate and you can see that it is as fully loaded as the fall! Which series have you hot & bother this summer? Let me know! This entry was posted in TV Shows and tagged Burn Notice, Cult, King & Maxwell, Longmire, Summer TV by RAD Durham. Bookmark the permalink. Thanks for letting me know. So, Longmire is officially a Summer TV Treat!